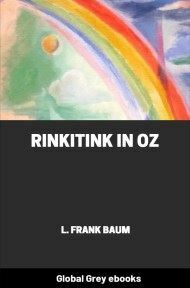 This is the third book in The Oz Series by L. Frank Baum. While traveling to Australia with her Uncle Henry, Dorothy is swept overboard with a hen named Billina. They land in Ev, a country across the desert from Oz, and, together with new-found mechanical friend Tik-Tok, they must save Ev's royal family from the evil Nome King. 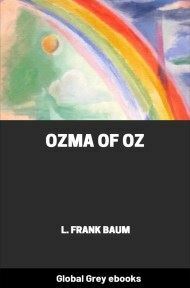 With Princess Ozma's help, they finally return to Oz. At the time the wind began to blow, a ship was sailing far out upon the waters. When the waves began to tumble and toss and to grow bigger and bigger the ship rolled up and down, and tipped sidewise—first one way and then the other—and was jostled around so roughly that even the sailor–men had to hold fast to the ropes and railings to keep themselves from being swept away by the wind or pitched headlong into the sea. And the clouds were so thick in the sky that the sunlight couldn't get through them; so that the day grew dark as night, which added to the terrors of the storm. The Captain of the ship was not afraid, because he had seen storms before, and had sailed his ship through them in safety; but he knew that his passengers would be in danger if they tried to stay on deck, so he put them all into the cabin and told them to stay there until after the storm was over, and to keep brave hearts and not be scared, and all would be well with them. Dorothy decided she must go to him; so she made a dash forward, during a lull in the storm, to where a big square chicken–coop had been lashed to the deck with ropes. 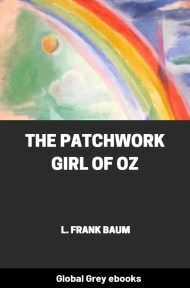 She reached this place in safety, but no sooner had she seized fast hold of the slats of the big box in which the chickens were kept than the wind, as if enraged because the little girl dared to resist its power, suddenly redoubled its fury. With a scream like that of an angry giant it tore away the ropes that held the coop and lifted it high into the air, with Dorothy still clinging to the slats. Around and over it whirled, this way and that, and a few moments later the chicken–coop dropped far away into the sea, where the big waves caught it and slid it up–hill to a foaming crest and then downhill into a deep valley, as if it were nothing more than a plaything to keep them amused.